Cilinder CR 500 that will fit on a 1990 bike. Please send picture and price. 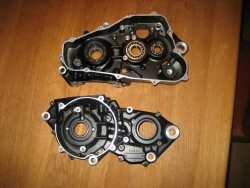 Please, how do you sell the two housings ? I'm in France for shipping . you have paypal payment ? you have additional photos ? CYCLE WORLD, September 1976, full cover, Comparative Specs On Leading MXers,125,250 and Open class, Honda 750: Automatic vs 5 Speed, Is Easier Always Better? 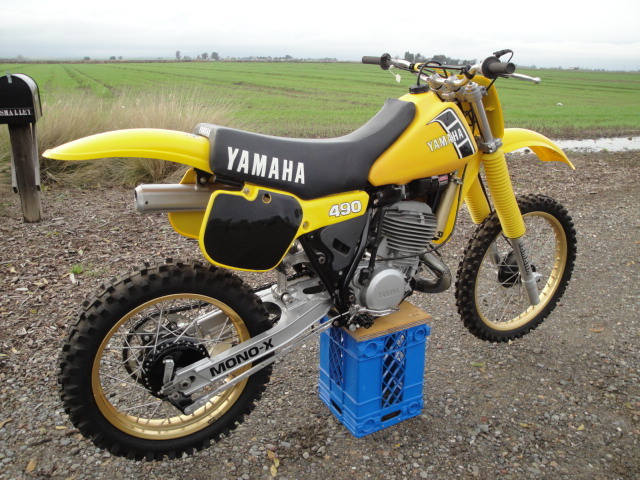 Ignition Basics, Yamaha IT 400 Enduro, Prepping Used Bikes For Sale, Fall of the British Industry... Whats Left for the Owner, $8. 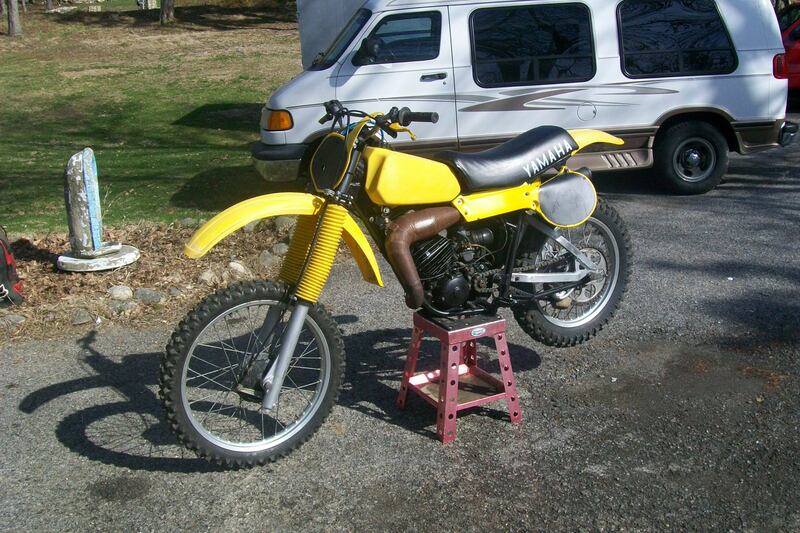 1980 Rm 80 totally gone thur all suzuki nice collection piece serious buyers only please $1200 firm call for details 330 350 0546 my trade for other vintage bikes? 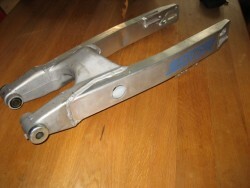 1979 Yamaha YZ250 left and right footpegs with bolts $10. 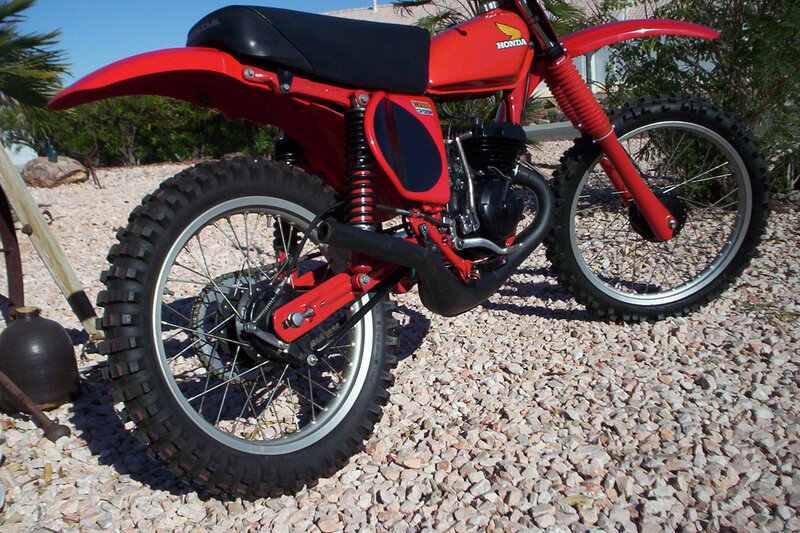 1986 honda CR250R vintage bike ( AHRMA ) This bike has been restored. The frame was sent out to be powered coated. Rear swing was polished. Cosmetically the bike is all but mint, some minor scratches. This bike looks AMAZING! 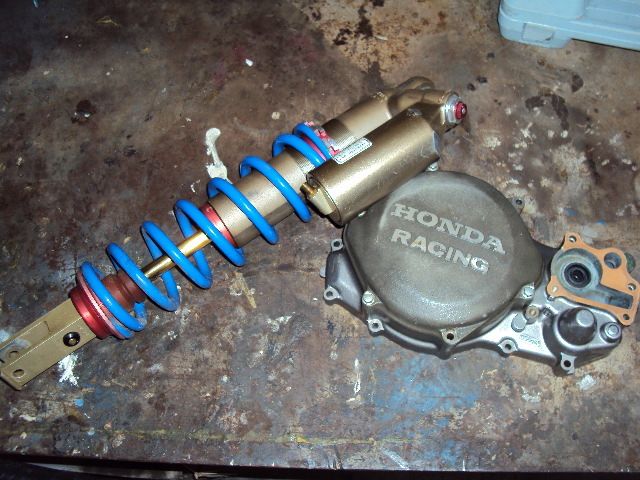 Mechanically everything works as should , has a new top end at standard bore. Runs excellent, transmission shifts smoothly. 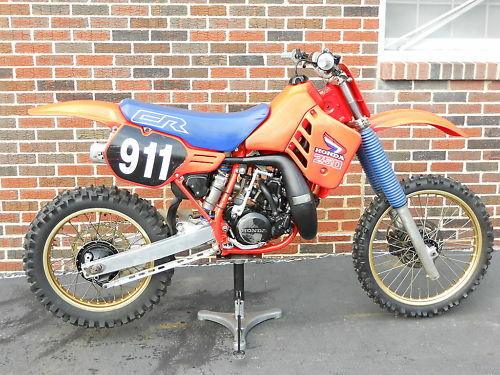 It has a procircuit pipe and DG silencer - no damage. The brakes and suspension are in excellent working order. There is no leaking seals and suspension rebounds like should. Gold wheels have NO damage, with great tires. This bike is a REAL head turner. Yes its that NICE!! 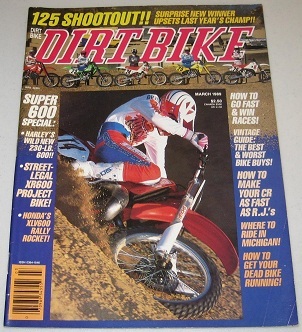 This was a crucial time in motocross history. This is the first year that the production year went into affect. 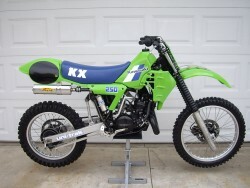 This bike took a NATIONAL and SX CHAMPIONSHIP. Selling 1973-1975 Honda Elsinore MT250 collection. 3 bikes, all were running, one was tagged. All carbs rebuilt. Have extra points, stator, etc parts. All in decent shape, but need work. 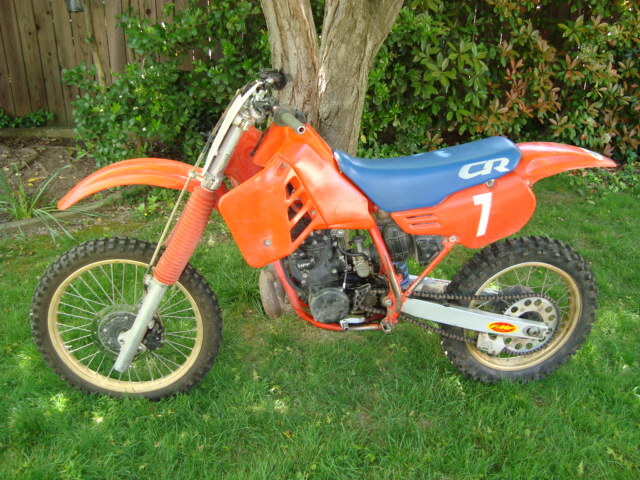 Also, I have a CR250 engine for sale. 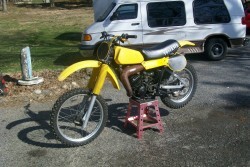 wanted,,, 73 suzuki TM 400. 1980 Yamaha YZ125G Racer, in good to excellent shape, Doesn't have to be a garage queen. 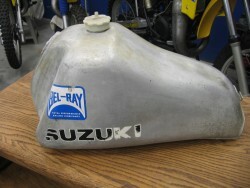 Looking to trade Works Suzuki aluminum gas tank for Works Suzuki parts . I believe this is a 1978 RH / RN Works Suzuki tank . I'm looking parts for a 1983 RA125, parts in need are Radiators & Shrouds , Rear Brake Pedal , Stator and Rotor and any other parts for possible trade . Any help would be appreciated Ed. 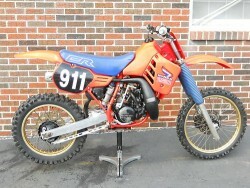 Ive seen this bike and like all of Troys bikes...excellent quality work! 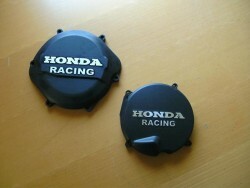 Left side (kick start side) engine cover. 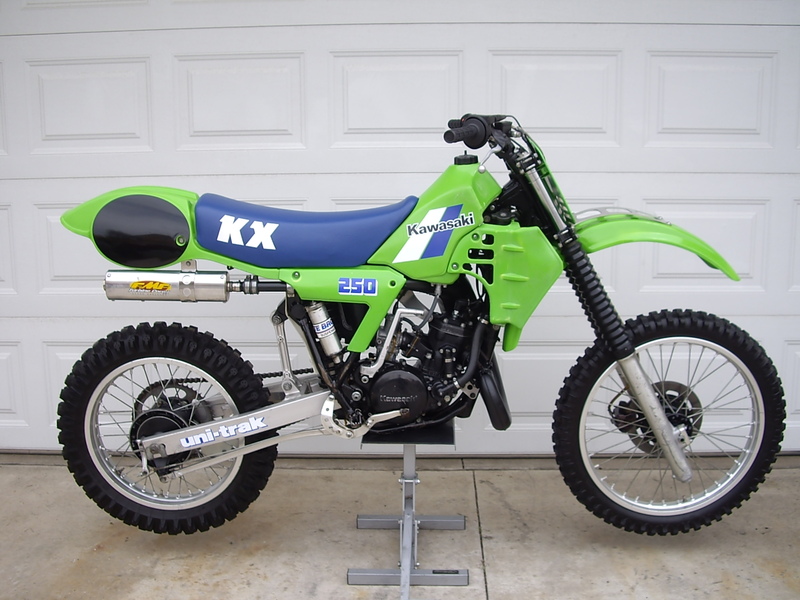 1981-1982 Husky 430 air cooled. 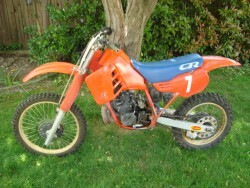 1973 Husqvarna CR 250/ WR 250 and 1974 WR 250, NEW!! standard MAHLE piston, ( 69.43 MM) , COMES WITH wrist pin clips, no ring,$99.